One of my favorite holiday dishes is homemade cranberries. They are really so simple to make, I am not sure why anyone would buy them in the can. I make mine very simple, with just the addition of a little orange zest. You can adapt this recipe by adding nuts, chopped fruit or a little ginger. 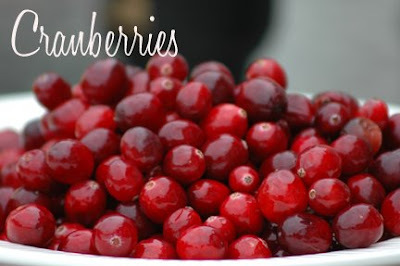 Rinse: Clean cranberries with cool water, discard stems. Boil: Heat water and sugar to boiling in 3-quart saucepan over medium heat, stirring occasionally. Continue boiling 5 minutes longer, stirring occasionally. Add: Stir in cranberries. Heat to boiling over medium heat, stirring occasionally. Continue boiling about 5 minutes longer, stirring occasionally, until cranberries begin to pop. Remove from heat. Zest: Add the zest of an orange to the berries and blend well. Chill: Pour sauce into bowl or container. Refrigerate about 3 hours or until chilled. Can be made the night before. Ice Cream: Warm on the stovetop and spoon over ice cream. Muffins: Add a scoop to homemade muffins. Salsa: Add to hot salsa! so yummy. Cheese and crackers: Add a dollop to goat or cream cheese. Oatmeal: Add some nuts and cranberry sauce to oatmeal. Cranberry Bars: Make like lemon bars - just substitute the cranberries for lemon. I have to agree...the cranberry salsa is sooooo yummy!